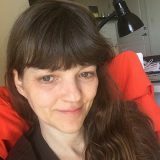 “Suzanne Harper spent most of her career as a magazine editor, but for the last three years she’s been a full-time author. 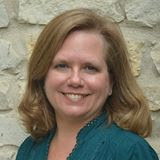 Her first novel, The Secret Life of Sparrow Delaney, was published by Greenwillow in July 2007. Her second novel, The Juliet Club (Greenwillow), was published in May 2008. “In addition, she has written an original novel, Rock the Waves (Disney Press, July 2008) based on the Hannah Montana TV series. She’s working on a second Hannah Montana original novel, In the Loop (Disney Press, 2009). Under the pen name N. B. Grace, she has written original novels for the series High School Musical: Stories from East High and novelizations of High School Musical (Disney Press, 2006) and High School Musical 2 (Disney Press, 2007). 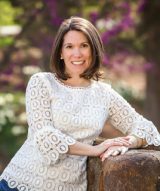 “She has also published several non-fiction books, including Boitano’s Edge: Inside the Real World of Figure Skating; 33 More Things Every Girl Should Know; and Terrorists, Tornados and Tsunamis: How to Prepare for Life’s Danger Zones (co-author with Lt. Col. John C. Orndorff). She’s currently working on a non-fiction book about spying with the head of the International Spy Museum. I would say my path to publication was a very long marathon–the kind of marathon that involves spontaneous side trips to check out different kinds of scenery! I’ve wanted to be a writer–and more specifically, to write novels–since I was seven years old. As you can imagine, I wrote a lot as I was growing up and read a lot, too. When I went to college, I studied journalism and English at the University of Texas at Austin. After graduation, I went into magazine publishing. Even as I worked on the editorial staffs of various magazines, I kept writing in my spare time and taking classes in all kinds of genres, including novels, plays, corporate videos (! ), and screenplays. I even got my master’s degree in writing at the University of Southern California. In retrospect, I think all that varied experience was good for my writing, although I also wish I had been more focused from the beginning. However, I’m a strong believer that everyone takes the path they need to take in order reach their goals. As long as you get there in the end, it’s all good. Your debut trade novel was The Secret Life of Sparrow Delaney (Greenwillow, 2007)! Could you tell us a bit about it? 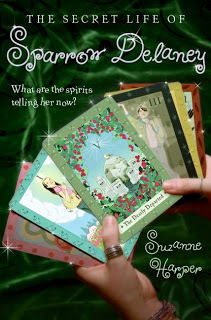 It’s the story of Sparrow Delaney, a teenage girl who’s growing up in a family of psychics. She’s the seventh daughter of a seventh daughter, so everyone in her family thinks that she’ll be the most psychic of them all. And, in fact, she can see and talk to ghosts very easily. However, she hides this fact from everyone because she knows a lot of people would consider it creepy. Sparrow wants, more than anything else, to be normal. Then a cute teenage boy ghost shows up and asks for her help, and she’s torn between wanting to help him and wanting to keep her secret. The setting is Lily Dale, New York, a real town that was founded more than a hundred years ago as a spiritualist community. Thousands of people still visit Lily Dale every summer to have readings from the spiritual mediums who live there. I read a non-fiction book about Lily Dale a few years ago that sparked my imagination (I’ve always been fascinated by ghosts and mediums). Then one day I was flying home from a conference and I found myself writing what became the first line of the novel–“It’s three minutes past midnight, and the dead won’t leave me alone”–in my notebook. I was intrigued enough to keep writing in order to find out more about the person who would say something like that. As I started developing Sparrow’s story, I remembered Lily Dale and decided that would be an unusual and perfect setting for the book. Congratulations on the publication of The Juliet Club (Greenwillow, 2008)! Could you fill us in on the story? Thank you! It’s the story of six teens (three American, three Italian) who have won an essay contest. The prize is that they get to study “Romeo and Juliet” for a month in Verona, Italy, where the play is set. Kate, the main character, is a very practical, logical girl who was recently dumped by her boyfriend. She’s determined to study hard, enjoy Italy and, no matter what, avoid falling in love again. Of course, these plans go awry, especially when she meets the irritating and handsome Giacomo! The other teens conspire to make Kate and Giacomo think that they’re falling in love with each other. Many readers will recognize this as the setup for another Shakespearean play, “Much Ado About Nothing.” I tried to use as many Shakespearean plot twists and allusions as I could in the novel, which was part of the fun of writing it. This was another novel that started on a plane. Maybe I should start flying someplace every few months or so! I was flying home from Italy, and I read an article in the airline magazine about an organization called The Juliet Club in Verona, Italy. For decades, volunteers have been answering letters from people who want love advice from Juliet. They get thousands of letters from around the world. This struck me as a great setup for a novel. Of course, I just used that as a jumping-off point. I invented a lot, including the essay contest and the Shakespearean seminar that the characters attend. 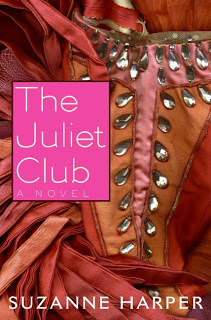 By the way, if you want more information on The Juliet Club, go to their web site, www.julietclub.com. I made a lot of false starts on this book. I mean, a lot. I think I spent two years trying to get a handle on the approach and the tone. For one horrible period, I tried writing the whole book as letters and e-mails, which sounded clever but just didn’t work. I tried writing it in the first person, from Kate’s point of view, but that was problematic because of the plot. Other characters were eavesdropping and spying to see if Kate and Giacomo were falling for their prank, and there was no way to show what they were up to if everything was being seen through Kate’s eyes. Finally, I started noodling around with the manuscript as I was working intensely on revisions for The Secret Life of Sparrow Delaney. I think that helped me get on the right track. An art teacher once told our class that if we were having problems with a painting, we should start another one “just for fun” and work on them both at the same time. She said that that takes the pressure off making the first painting perfect. Also, the “just for fun” painting that you’re simply playing around with often turns out to be the best piece in the end! In addition to the writing challenges I talked about above, I found that I had to do a lot of research. Of course, I read a lot about Shakespeare–in addition to re-reading the actual plays, I read many commentaries on the plays, books about Shakespearean acting, biographies of Shakespeare and so on. But this book involved actual physical research as well. Since the novel was set in a different country, of course I had to visit Verona again! While I was there, I took hundreds of photos. I also met with members of the real Juliet Club several times to find out more about what they did (and to pepper them with questions about teen life in Italy). I took Italian lessons to get a feel for the language and culture. I also had one friend teach me how to do an Elizabethan dance and another friend tutor me in stage sword fighting (my characters have to do both of these things and I needed to learn the skills in order to describe them). Actually, the research was a challenge, but it was also a lot of fun. I’m planning to make videos for my website to pass on some of this information to readers who are interested. 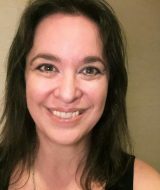 What was it like, being a debut author in 2007? It was wonderful! Everything–from seeing the cover for the first time, to spotting the book on the bookstore shelf, to getting reviews and blog mentions–was such a thrill. Sophomore novels are often a struggle. How did you bounce back so quickly with another great story? Thanks for your kind words! Actually, I do feel that The Juliet Club was more of a struggle to write than the first book, simply because it was more complicated. One thing that helped was going to Starbucks every morning and taking copious notes in my journal as I was working on it. I would write endless notes about possible plot twists, character descriptions, and so on. I think I filled up five notebooks, just on The Juliet Club! I was surprised at how much time I can spend on non-writing tasks. I think this is even more true now that we have the Internet and can create websites, write blogs, make MySpace pages, etc. On the one hand, it’s a great opportunity to get the word out about your books. On the other hand, I can see that it would be easy to forget about actually writing the next book, especially since a lot of the “extra” work is very creative and fun, too. I’d say, remember, revising is the fun part, so quit worrying so much about the first draft! Write as fast as you can and just get the words down on paper, because you can revise as many times as you want. After all, you don’t have to get something right the first time you write it; you just have to get it right the last time you write it. Well, I read a lot, of course. I enjoy working on collages and multi-media paintings. But probably the most surprising thing I do (surprising to me and to everyone who knows me) is box. I go to a sparring class every week and I’ve done three “white-collar fights” (basically, sparring sessions in front of an audience). It’s a good counterbalance to introspective days spent in front of a computer screen! I’m working on a new novel. It’s a fantasy, of sorts, in the sense that it’s set in an alternative world. And it taps into my fascination with the art of acting. I’ve been thinking about the story for years, so I’m finding it very satisfying to finally create and live in this world for awhile.